The miracle was not that you finished, the miracle was that you had the courage to start. (Matthieu Girard, at Trail Verbier St-Bernard pre-race briefing). I’ve always agreed with that sentiment. I suspect it resonates with each of us who dares to enter a challenging mountain race. To that quote, I’d add a corollary: Too often, events conspire against you to keep you from the start line. Schedules, injuries, obligations… life, in short. That was certainly my story for Trail Verbier St. Bernard. For years now I had wanted to run one of their races. The routes run through an area that’s one of the most beautiful in the Alps. The race has a deserved reputation for being well-organized, yet it manages to stay low-key and free of the big-business feel of a number of high-profile trail races on this side of the Atlantic. This year, my chance finally came – and TVSB didn’t disappoint. I ran the 73-km X-Traversée route, which wends its way through some of the most striking terrain the Alps have to offer: Alpine lakes, snowfields, the 2,695-meter high point of Col Fenêtre, past the legendary hospice at Col du Grand-St. Bernard, under the shadow of the 4,314-meter high Grand Combin, over Col des Avouillons, across a 240-meter long suspension bridge (no running allowed! ), to Cabane FXB Panossière. The final third of the course included a free-falling, fast descent, a chance to catch your breath and resupply in the village of Lourtrier, a gut-wrenching 1,192-meter climb up “The Wall,” and finally more fun, fast single-track into Verbier. Picking favorites is an unwise idea in Alps trail running. Every trail and race has its unique qualities. 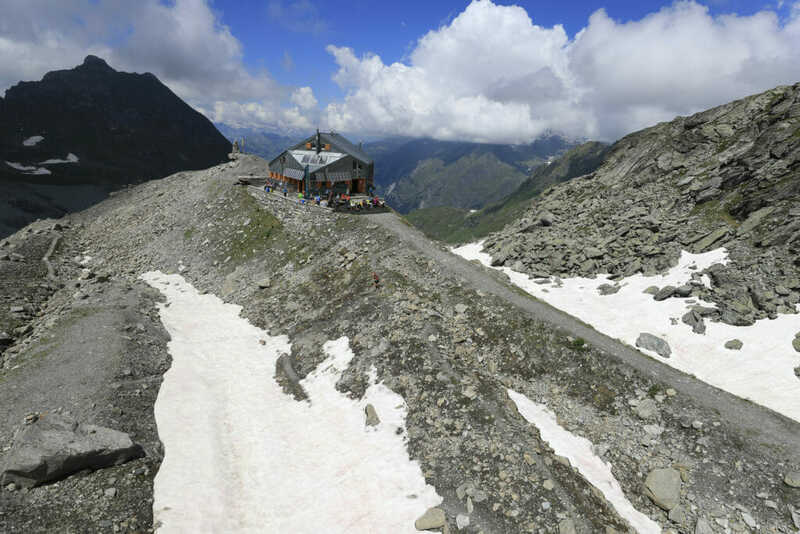 At the risk of falling into that trap, I’ll say that Trail Verbier Saint Bernard is on my short list. And it should probably be on yours, too. *The scenery is magnificent. Switzerland’s Val Ferret is one of the most lush, striking valleys in the region. Scattered throughout are the enormous Herens cows. (True: Each year, a cow is elected Queen by the local farmers!) It’s an inspiring scene to take in as you climb towards Col Fenetre. Stop for a moment and take it all in. It’s time well spent. *Passing through Col du Grand St Bernard is always special. How often does one get to walk along Roman-built paths, in the steps of pilgrims and traders who traveled through the region for centuries? *TVSB gets alpine – and in a big way. The X-Alpine route crossed the striking ridge of Catogne, while X-Traversée takes participants throughout some of the most wild and rugged regions of the Valais. *Lots of trail races promote themselves as having great single-track. But, TVSB really delivers here. There’s hours-worth of flowy, narrow, un-eroded tracks through high Alp pastures. *Through it all, TVSB is well organized, with a friendly and warm spirit. A variety of races offer distances from 29 km to 111. Sunday morning, there’s even a kid’s race through the streets of Verbier. *TVSB has all of the qualities that one wants in a “big time” Alps trail race – stunning courses, great organization, and an authentic vibe all of its own. Whilst too many times such events come with baggage – strict rules, long lines, event organizers more focused on profits than experience – there’s none of that at TVSB, and that alone is reason to recommend it. In a region that is arguably the original home of trail running in the Alps, TVSB carries the Valais’ strong trail running tradition forward. Here’s to another great decade!